This is a list of 101 things to learn, prepare, check, take, do at the track, and do after an event, in chronological order...kind of. The list covers vehicle and driver prep, what to bring, what to do the night before and day of the event, between driving sessions, and after. Of course, you take complete responsibility for the use of this information. The information provided by your event's organizer takes precedence over anything on this website. Please send us your suggestions. Your comments are greatly appreciated. The goal of the event organizer is to provide you with a safe and controlled environment where you can learn and drive your vehicle to its limits (more accurately, to the driver's limits). 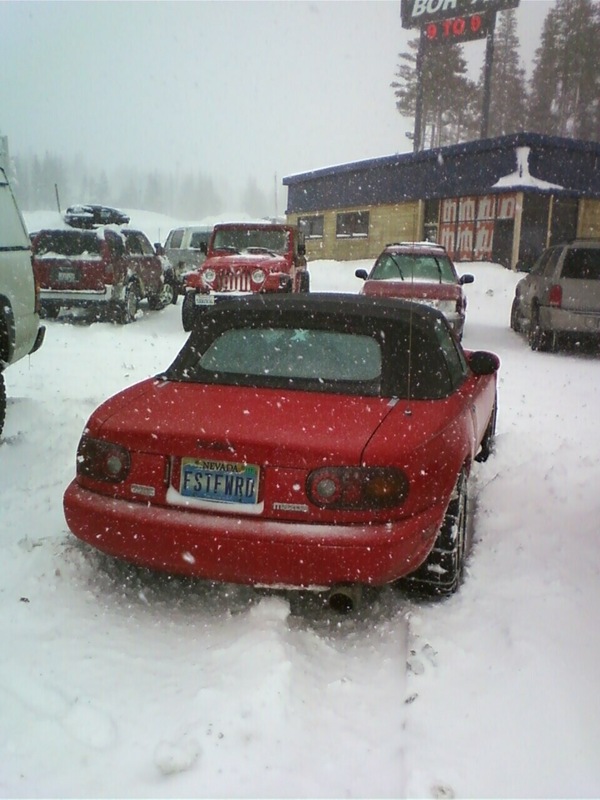 There is a good chance you'll be driving around corners, or entering a braking zone, at over 100 MPH, even in a Miata. And, because you'll be sharing the track with other like-minded folks, the #1 concern is safety. This is probably going to be the most fun you've ever had driving your vehicle, but you can't have this kind of fun without appropriate safety measures and rules in place -- rules that are uniformly understood and followed by all participants. What should your mindset be? Most high-performance driving events and education (HPDE) are non-competitive and are not timed events. You are there to learn vehicle performance dynamics and improve your driving skills...not to "race" anyone. There are no trophies for speed and no trophy girls, no cash prize for winning, and you won't set a track record. We all have the same goal; to go fast and have fun safely. So, cooperation and communication between drivers and with track personnel is paramount. That said, there may be specific "run groups" that have a more competitive nature and are timed. Which event organizer is right for you? Event organizers typically rent the track for the days they run. Choose a track and look at their calendar. You'll see the names, and perhaps links and contact information, of various organizers. Visit their websites and give them a call. Don't hesitate to call the track and talk to management about the various organizers. Some are more expensive and include social events, upscale meals, etc. Some include instruction at no charge. With other groups, everything is "à la carte". If you don't like your first choice of organizer, choose another for your second event. Which group should I register for? Sign up for the novice group, if this is a new experience for you. And, be sure you'll have instruction. If you are familiar with the track and attending with a different organizer, perhaps an intermediate group will work for you. Discuss this with organizer management well in advance of signing up. Groups are generally divided by the type of passing rules allowed in the group; point-by on straights, point-by anywhere, and open passing anywhere. Also, vehicles in the more advance groups are often more prepared and faster. Group rules will be covered in the driver's meetings. Regardless of all the stuff below, if your car is in good shape, you should be able to show up with your helmet and a full tank of gas and have a great time! Conversely, you don't want to be the guy holding up the next driving session, because your car stopped somewhere on the track. So, be as prepared as you feel comfortable with and get ready to have the best time of your (driving) life! Vehicle Log - A good logbook is great for recording modifications you've made, suspension settings, tire pressures and temperatures, oil changes and amount used, the dates of other fluid changes, costs, events, and a host of other pertinent data. Some groups require one (NASA, SCCA), but others only require you to fill out and sign a "tech sheet". Parts - You want to bring your car home in the same condition it was when you left (less some rubber). Good preparation goes a long way towards assuring a trouble-free event and the longevity of your equipment. As early as possible before your event, go through the vehicle and make sure you have on hand, or have ordered, all the parts you will need to get ready. Procrastinate here and you'll be scrambling for parts and hurrying through the work. This usually costs more money and also changes your mindset. Prepare early. Don't be rushed. Know you are ready. Vehicle Prep Tech Sheet - Most HPDE organizers require a "tech sheet" be completed and turned in to them ahead of, or at, the morning registration. At SCCA and NASA events, there will likely be someone inspecting vehicles. Here's an example of what you can expect to find on a tech sheet. If you are doing the work yourself, make sure to have the parts, fluids, fasteners, etc., that you need well in advance. Don't hurry through the inspection points, and use a dependable torque wrench for all fasteners. Don't "fudge it" with vehicle prep. You will be driving at much higher speeds, relative to your normal driving. Speed translates into G-force, higher temperatures, etc., which means you will be asking the vehicle's components to perform closer to their maximum design specifications. You, and the other drivers on the track, rely on each other for safe vehicle operations. So, if you are going to do your own tech inspection, don't skip anything and make sure you completely understand the requirements and specifications of your vehicle. Otherwise, get help in the form of a knowledgeable professional or trusted advisor. Hand Tools - You can't have too many tools with you. Luckily, a lot of track event participants feel the same way. So, if you don't have something, there's a good chance someone in the paddock will, and most folks are very willing to share. However, you better be sure to have any specialty tools with you. Things like C-Spanners for your coil-overs, special Allen keys, star wrenches, and any tools you've customized, may be hard to find substitutes for. Tire Tools - If there are any special tools needed to remove wheels and tires, like locking lugs, be sure to have them handy. Double-check. Lift Equipment - If you need to get your ride off the ground, it's always best to have your own lifting equipment. Even though folks are willing to share, you'll save valuable time having your own stuff. Oil Change - Fresh oil = best engine protection. At most events, you will get lots of track time...probably four or five 20-minute sessions. A large percentage of that time will be spent at the upper end of the RPM range, going around corners, and at WOT (wide-open throttle). Oil is the life-blood of your engine and chances are good you'll use a little. It may be appropriate to start your day with an extra half quart in the engine. Engine Cooling System - The condition of your cooling system can mean the difference between driving home or a big towing bill. The system is comprised of a pump, the coolant, hot and cold hoses, the radiator and cap, the overflow tank and hose, probably a heater, heater hoses and control valve(s). Some cars have coolant hoses running to the throttle body or intake manifold. Change the coolant if it's been a while. If required, bleed the air out of the system after changing. An old radiator cap may not be holding pressure. Brake Pads, Rotors, Master, Brake Lines and Fluid - Make sure your brake system is prepared to take the beating. You are about to demand performance from all of the components. If your rotors warp when hot, you won't enjoy yourself when the whole front end starts shaking. If the fluid hasn't been changed within the last year, do a thorough bleed. Inspect your lines for any rub marks or cracking. Make sure you have enough pad thickness for your event. Carbotech XP8 pads are good down to about 3-4 mm. Know how much you will need and change them, if required. Tires - Arguably the most important performance and safety item on the list. Check your tread and pressures. Anything less than 1/3rd of the original tread depth remaining and you might expose cord before the end of the day. The tire temperatures will be much higher than normal street driving, which will push the pressure up between 4 and 10 psi. Once you find the tire pressure that works best, when you leave the track, you might find that your (colder tire) pressures are too low for the street. Adjust as needed. 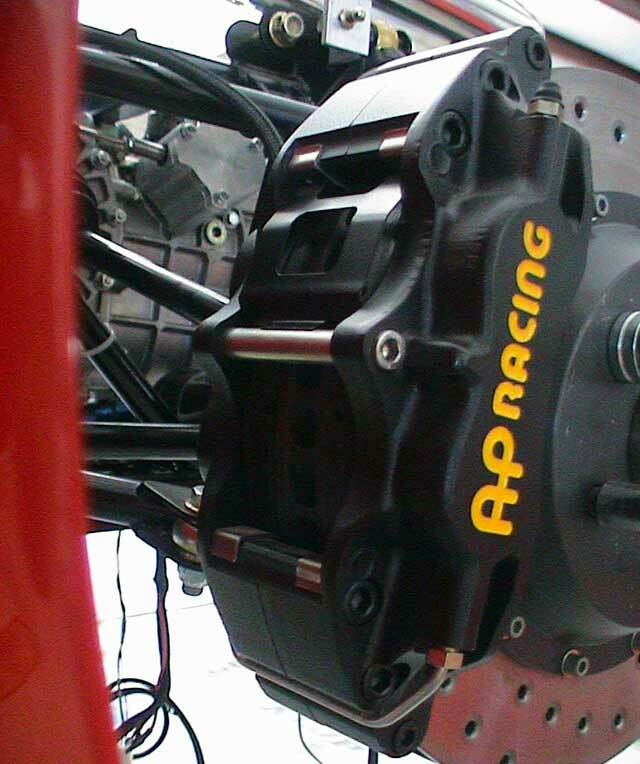 Clutch - Road racing is harder on the clutch than street driving, but not has hard as drag racing. If your clutch pedal has an hydraulic master and slave cylinder, the system can be subject to similar heat degradation symptoms as the brake system. Check the operation, the clutch fluid level, line, and, if the fluid hasn't been bled for over a year, now may be good time. Transmission and Differential - The only difference between your engine and the trans and diff is that they don't burn fuel to generate heat. They still get plenty hot and lubrication is essential. Clean lubricant, in good condition, is important to keep things working properly. If you haven't changed the fluids in over a year, this is the time. Check your universal and CV joints, too. Battery - Check that the battery is properly and securely mounted. Alignment - If your car is a daily driver, it might not be appropriate to change the alignment settings for the track. That said, a good alignment will help with all aspects of handling and performance. Another benefit is better tire life and better fuel mileage. Race tires will benefit from additional negative camber (top of tire further in than the bottom). Depending on your vehicle and tire compound, between 1.5 and 4 degrees seems to be the range. Ask around and read what's available online about your specific vehicle and tire selection. Towing Card - Since you'll be pushing a little harder than normal, you are more likely to expose any existing mechanical weaknesses. If your insurance company doesn't provide the service, you may benefit from something like AAA for towing. If your vehicle is in descent condition, you should have no troubles. However, you should always be prepared for unexpected mechanical issues that can occur with any vehicle, on any mission, at any time. Mindset - Is there a trophy and/or cash prize involved? Are you going to set a new track record, or a personal best? Are you going to lock in a seat at Daytona with Penske? If so, this list probably isn't for you. 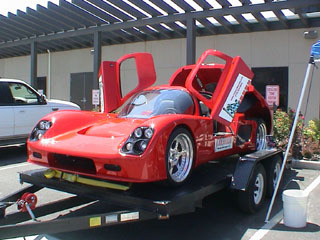 Have you made any significant changes to the your vehicle, or has it been a long time since your last event? If your mindset is that you are here for a learning experience, you'll finish the day feeling good about what you did. If you improve, great! If you don't, hopefully you'll know why and still great! General Study: Flags - There are a few general concepts about flags that apply at most tracks. Understand flag definitions, as they are the primary method of communication between course workers and drivers. Some flags are advisory and some are commands. Flags can require you to slow down, yield, stop, or exit the track. Whenever a flag is presented, your current level of situational awareness becomes instantaneously more critical, as you are being told or asked to deviate from normal (expected) operation. At all times, you should know if there are vehicles around you. If so, don't presume the other driver(s) have seen the flag(s). Quickly check your mirrors before making significant or rapid changes to your speed or your driving line. The current level of your situational awareness is the primary factor in any decision-reaction event. The meanings of flags will likely be covered in the driver's meeting. The meanings can vary from event to event, but only slightly. Flag definition is not open to interpretation; follow as directed, even if the reason for the flag is unknown or appears to be a mistake. Green - The track is open. Expect traffic to be moving at full speed. Yellow - The track is open. Many first laps of the first driving sessions are conducted under a yellow flag. No passing. If you see yellow flags come out in the middle of the session, there's likely a vehicle on or near the driving surface just ahead. Check your mirrors and slow down if visibility is limited. If you can't see the problem, it's probably in the next corner or two. Standing, waiving, and double-yellow are common variants. Pay close attention to the descriptions in the driver's meeting. Black - There can be multiple meanings... Waiving generally means everyone continue around the track and return to the pits. The black flag is sometimes used at flag stations (other than start/finish), to indicate the end of the session. Furled and pointed at you, like a waiving index finger, means you did something that track management considers a marginal violation of generally accepted practices. If you truly don't know what you did, ask when you come in. Unfurled and shown "in your face" means you did something that needs immediate discussion; come in and talk with track management. Black/Orange Ball (Meatball Flag) - Generally indicates a mechanical condition requiring attention, or something easily corrected by the driver. For example, your hand or elbow is out the window; your window is up; your door, hood, or trunk is ajar or open; your vehicle is smoking or leaking; you've exceeded the allowable dB (loudness) level; or something has, or is is about to, come off the vehicle. If a simple fix, the flag may be accompanied by a sign, like "WINDOW". Correct the problem from the vehicle cabin and continue. Otherwise, be alert for vehicle problems and return to the pits. Slow appropriately, drive off line if leaking or pull off the track surface where safe. Red - Something has happened that requires all traffic to stop. Check your mirrors and come to a complete stop, generally on the right side of the track, within view of a flag station. A new flag will indicate when it's clear to proceed. Blue with One Diagonal Orange (or Yellow) Stripe - Check your mirrors; a vehicle is closing, or in position, to pass you. Red|Yellow Vertical Stripes (Surface Flag) - Gravel, sand, dirt, oil, coolant, or a transmission is on the track surface. Waiving means imminent hazard. Standing usually means it's been there for a while - at least one complete group lap. This flag may be retracted after all vehicles have been advised of the hazard. Note that flags that are backlit by the sun, or artificial light, can appear a different color. White - Can have various meaning with different groups. Frequently, a white flag is used to indicate that a non-emergency vehicle or slow-moving vehicle, such as a tow truck (for a "hot tow"), is on the track. Check your mirrors to update your situational awareness and slow, if appropriate. Checkered Flag - Typically displayed at start/finish and possibly other flag stations to indicate the session is over. Finish your lap as a cool-down lap, and return to the pits..
Track Study - If going to a track you are not familiar with, you'll want to study the layout of the entire place. Learn as much about the course in advance by reading, studying video clips, video driving games, and/or talking with others that have been there. Try to know in advance where to park, where to eat, where your meetings are, etc. A Work In Progress - More on this later, but you always want to think about a learning goal for each session. Really concentrate on the goal while on the track. For example, if turn-9 is giving you troubles, talk with the lead instructor, or someone who is getting it right. Then, don't concern yourself with the rest of the track. Without thinking about your speed, focus on turn-9 and make sure you hit the entry (position, braking, turn-in), apex, and track-out to the exit, with your new technique. Use the rest of the lap to think about making it better the next time through. Of course, don't drive like you forgot where you are, but use the time to mentally prepare to go through turn-9 again and do it better. After "X" times through, you'll spend less time thinking about turn-9 and more time on the next goal. Everything Out - Empty the vehicle of EVERYTHING. Then, if you are driving the vehicle to the track, only put back the things you need at the track and intend to remove in the paddock. There should be absolutely nothing loose in the vehicle when on track. That includes in the glove box, console, door panel pockets, seat-back pockets, under and behind the seats, and trunk. Take out floor mats. Soft items in the trunk, like a jacket, are okay. Anything heavy or hard will bang around and can cause distraction and "outtie" dents in metal panels. Boxes - The paddock can be a very sunny, windy and sometimes wet place. The things you remove from your vehicle and leave in the paddock can be subject to rain-drenching or blowing away. Put your loose items in boxes to keep them organized and in place. The paddock is generally a safe place to leave stuff, as everyone has tools, notebook PCs, cameras, phones, radar detectors, helmets, race clothing, etc. However, the "out-of-sight, out-of-mind" approach to protecting your gear is never a bad idea and copier paper boxes are great for that. What to Take - The list of items to pack can be extensive. You can't take everything, but essential items can save you time, money, and hassle. Here's our list of items that fit in the Miata. The Day and Night Before - Drink plenty of water. The track environment requires deep hydration. It really helps to start a week early. Think about what you are going to eat and drink at the track. Are you taking a cooler, or will the event organizer provide mass quantities? Is there a restaurant at the track? Get plenty of rest so you can get up early and take your time in the morning. Find out what time the gates open and plan to be there early to get your vehicle parked, emptied and ready. It's likely there will be a mandatory driver's meeting. Be sure you know exactly where it is held and what time it starts. The Morning Of - You've done a great job with preparation and, after a great night of rest, you got up early and are now ready for your track day. Grab a light breakfast. Top off your fuel and get to the track. Do you have friends to paddock with? If traveling together, start your caravan early. Don't aggravate the locals on the way to, or back from, the track (no tickets). Locals don't all love the track and speeding drivers, on their way in and out, are a constant aggravation for them. The track managers, event organizers, and neighbors appreciate your indulgence. Find your parking spot. Look for a spot that provides any kind of shelter from sun, wind, or rain. A spot close to the restaurant, meeting rooms, tire shop, hot pit entrance, etc., might be a priority. Be aware and drive slowly in the paddock. Early in the morning, there will be lots of people milling about and stuff rolling off trailers. In the Paddock - The earlier you arrive, the wider your choice of parking spots. Once you are parked, you'll have some time before the driver's meeting. Don't be late to the meeting, but use the time to make final preparations for the first session. If you haven't done so already, put on your numbers, empty the vehicle and place your stuff where nobody will drive over it. Locate and keep easy access to your tire temp and pressure gauges. You will be using them immediately after each session. Check and record your temps and pressures now. Check your lug nut torque. Check all fluid levels and reservoir caps. Now is a good time to apply protective tape to any surfaces that are subject to rock chips, such as the front of your side mirrors, headlight lenses, driving lamps, fender edges, etc. If you use sunscreen, slather up. Check out the paddock, hot pit entrance/exits, and track entrance/exits. The Driver's Meetings - The "driver's meeting" is where the organizer will outline the events of the day, cover general rules, operations, and address any questions. Sit where you can hear, see well, and pay close attention, especially if you are a novice. Each track and event organizer will have their individual peculiarities. Clarify everything; ask any and all questions you have. Make sure you understand everything. Generally, the driver's meeting is divided into two parts; a general meeting, and another specifically for each run group (novice, intermediate, advanced, race). Attend your group's meeting after the general meeting. At the end of the meeting, the meeting-holder, or group leader, might hand out colored stickers to be affixed to your vehicle, which indicate your group type and also serve as proof that you attended the driver's meeting. No sticker, no driving. Multiple drivers, in different groups, using the same vehicle, each will receive a sticker for their individual group. Don't Worry...Be Happy! - Universally, organizers want you to have a great experience. That means a safe and fun time. They go to great lengths to facilitate that, but ultimately, we are responsible for our own happiness. That said, organizers want and expect you to come to them, if something isn't right. So, if you see something amiss, or feel something needs changing, discuss it with the organizers immediately. It's better for all involved to make improvements as soon as the need is identified. Everyone benefits, so speak up. The First Session - Generally, the more advanced groups will run first. They require less meeting time and are usually prepared earlier to start running. The novice group will be attending a longer group meeting. At some point, you'll be introduced to the instructors, as a group, or individually, depending on how they are assigned. After you break from your meeting, you'll have some time to get ready, but your vehicle should be well prepared before the general driver's meeting. First Laps - The first lap(s) for each group may be run under "full-course caution" (double, standing, or waiving yellow flag). Your first laps should be used to warm up the vehicle, tires, and your brain. If you are new to the track, drive the line and start to pick out your visual queues...the references you will use to identify your braking points, turn-in, apex, and track-out (corner exit) points. In many cases, different colored cones will mark passing zones, braking zones, and corner reference points. Relax - It's normal to be nervous about driving on a race course, especially if this is your first time. Think of the track as just a regular road, closed for your enjoyment. Don't try to go too fast at first. You have to go slow to learn the course. You'll learn a couple of corners at a time, until you have the entire course memorized. As you start to link corners together, you can start to build speed. If you are a novice - You'll probably have an instructor/coach, if this is your first or second event. Many organizers strongly suggest that the instructor drive the student's car for a couple of laps, then come into the hot pits and switch seats. The instructor should drive a relatively slow lap, pointing out the flag stands and some of the marks for your reference. The second lap will be faster - 70-75% - to give you an idea of what a faster lap feels like. Don't try to remember everything and don't try to go that fast. Your job is to learn the line...the speed will come. You're brain is in super-sponge-mode and the adrenalin is probably flowing. The excitement leads to a tendency to overdrive the track. Don't let it get to you. If you are "sawing" at the steering wheel, you are going too fast. Sawing is an indication to the instructor that the student isn't looking far enough ahead - probably looking directly at the ground in front of the vehicle, or directly at the next marker or cone - and isn't sure where to point the car. You are then likely to hear, "You have to slow down to go fast." System Check - In every lap, there will likely be a point where you can take a deep breath and relax a little, look at your instruments, and do a quick personal evaluation. Most often that point is on the front straight. Get into the habit of making this type of check on every lap. Cool-Down Lap - After the checkered flag, you will complete your lap and pull into the pit/paddock area. Most groups allow passing after the checkered flag is out...some don't. Valid reason for and against exist. Drive your line during the cool-down lap. The goal is to relax and let the driver, engine, tires, and brakes all cool off to "normal" operating condition. The Debrief - After each session, you'll pull into the pit area and into your parking spot. The instructor might ask to be dropped off before you park. But, before getting out of the car, the instructor will discus the content of the last session, offer explanations, answer any questions, and make strategy suggestions for the next session. When you stop, don't set the parking brake. Turn off the engine and put it in gear to keep from rolling. Setting the brake can cause hot spots on brake rotors (leading to warping) and the heat buildup can glaze the brake pads. After the Session - This isn't too important for your first event...you may be talking with an instructor, or heading to a "download meeting" (see below) directly after your driving session. If you want to start learning about your tires, record tire temps and pressures for future reference. Make pressure adjustments, if you feel they gained too much pressure or not enough. Check your "scrub line". Some vehicles run hot. You might want to open up engine covers to help ventilate the area between sessions. Download Yourself - After each novice session, and perhaps for other run groups, there's a good chance the organizer will require you to attend a "download meeting". In this meeting, you will discuss the events of the previous driving session, a general goal to work on in the next session, and address any additional questions you have. Another sticker my be provided to show you attended the download. After the Download - Between cars, karts, trucks, and motorcycles, there may be 4 or 5 different groups getting on track. Your download session probably lasted 20-minutes. Each driving session is 15+ minutes long, so you will be done with your download and have time to prepare for the next session. If you haven't already, check your tire pressure, temperature, and look for cording. Check your oil and coolant overflow level. Check your fuel level. Next Session - Get ready early and don't rush. Meet your instructor at least 5-mintes before your start time. For each session, you should have a goal to work on. If you are a novice, or new to the track, you should always have two goals in mind - learn the line and be smooth. Unconscious Incompetent - You don't even know what you need to know and do. Conscious Incompetent - You are aware of what you need to know and do, but don't know it and can't do it. Conscious Competent - You are aware of what you need to know and do and have developed capabilities. Unconscious Competent - Competency is completely automatic. Unconscious competency is the goal and each skill level can be categorized. When an advanced driver goes to a new track, they may be at the highest level (unconscious competent stage) with regards to how smooth they are, but at the lower level (unconscious incompetent, or conscious incompetent stage) with regards to knowing the best line to drive. A good, street driver may suffer from illusory superiority and realize they have a lot to learn after their first day at the track. What to Learn - If you did your homework, you studied track maps and watched videos; now you have a leg up on the learning curve. The most important part of your leaning process will be to focus on one visual queue or marker, one line change, or one technique modification for each session. If you get it, you can move on. If you don't, you can work on it again in the next session. Remember, you are there to have fun, learn, and be safe. After Subsequent Sessions - Don't set the e-brake. Look at your fuel level. Check and record your tire pressures and temps. Look at the entire surface of the tires for cords showing through. Check lug nut torque. Inspect your brake rotors and calipers. Check the oil, all fluid levels, and fuel level. Leave the engine compartment open for extra cooling. Attend your download meetings. Hydrate and snack on low-sugar foods. Lunchtime - You had a great morning and learned a lot. Find time for reflection. Think about your sessions and review what you learned. If you recorded video, review it. Decide on a few goals and a strategy for the afternoon. Discuss it with your instructor, or other drivers. Remember, the primary goal is safe fun. With fun in mind, every time I get to the track, I ask myself what will I learn next. I apply some basic principles to many activities, including track events. Two are, "fail to plan -- plan to fail" and "plan your work and work your plan." After Lunch - Add a full belly to the relaxed condition experienced after multiple adrenaline-filled events, and you may find that lethargy is looming large. Especially if track events are new to you, you may feel fatigued. Don't push it, if you feel tired. The demanding environment requires focus and concentration...perhaps more than accustomed to. Sit out a session and relax. Talk to instructors and other drivers to get tips and tricks. Drink plenty of water. The Next Session - The car is cold. The tires are cold. The driver is cold. Take it easy for the first couple of laps. Remember what you learned in the morning sessions. Recall your lunch strategy goals. Turn up the speed gently. Recheck Vitals - You are well into the track event now; it's time to make sure you are checking the vitals for the car and the driver. Don't allow yourself to lapse into complacency, or you might miss an important item. Go through your check list and self-evaluate your condition. The Last Session - Be aware of your fatigue level. The last session is likely where you will be most tired. You've been spending your tires all day, so traction levels may be lower. It may be hotter in the afternoon, causing the tires to "go off" and be "greasy", also lowering traction. It's likely your fuel level will be lower. Too low and you may experience fuel starvation under hard, long cornering. Packing Up - Why doesn't anything fit the same on the way home? Make sure you pack all your stuff. Return or recover items borrowed or lent. It's likely you'll need fuel, if you are driving your track vehicle home. Check your oil and coolant levels. Check your tires one last time. Look for cord showing and set the pressure for normal street operations. Remove tape over lights. Remove bug guts from (at least) lights and windscreen. Instant Feedback - The organizers like to hear that you had a good time, that you received good training, and that you would recommend them to others interested in track events. Take a few moments to share your thought with the management before heading home. They will appreciate your feedback and listen to any suggestions for improvements. Whoa Baby! - You've been driving at high speeds all day. It's easy to get out on the road and exceed the speed limit quickly, just through force of habit. As stated earlier, the local track neighbors don't appreciate speeding through their neighborhoods, however unintentional. The constables will be watching, so be aware and take it easy. Homeward Bound - You've said goodbye to your fellow track hounds and are on the journey home. No doubt, you are a little tired, so be aware of your condition; rest or drive accordingly. Keep an eye on engine instruments for any abnormalities and listen for unusual sounds. You've been driving hard all day while wearing a helmet, so the normal audio track might sound a little different. They say synthetic motor oils are good for 5,000 to 10,000 miles. I change mine after two track days. There may be a substantially large amount of brake dust built up on the rims. You'll want to wash this off as soon as possible. Brake dust can be caustic and damaging to finished surfaces, particularly to wheels...and especially if the dust gets wet. If you find this information valuable, please link to us and share our pages.